Agreed. I hope you enjoy the book – I’ll be reading through it again for sure. A hearty amen to this excellent review. Thanks for your honesty also! 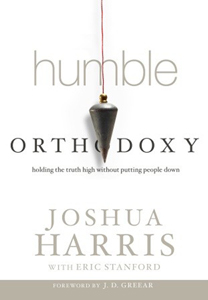 I vividly remember my inner dialogue when I was coming out of arminianism into a fuller view of God’s sovereignty and being humbled by my past lack of Biblical knowledge and orthodox teaching–and then in “the SAME breath” being proud that I now knew the truth and “those other guys” didn’t get it. Sin really is crouching at our doorstep. We can get it right and get it wrong almost simultaneously. “Sin really is crouching at our doorstep. We can get it right and get it wrong almost simultaneously.” Truth.